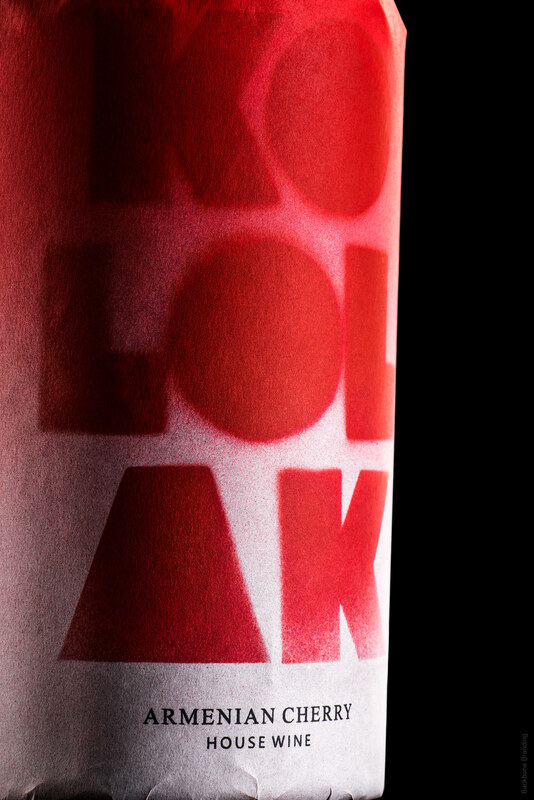 “Kololak” is a regional fusion cuisine restaurant the name of which can be translated from Armenian as a meatball or a round shape. 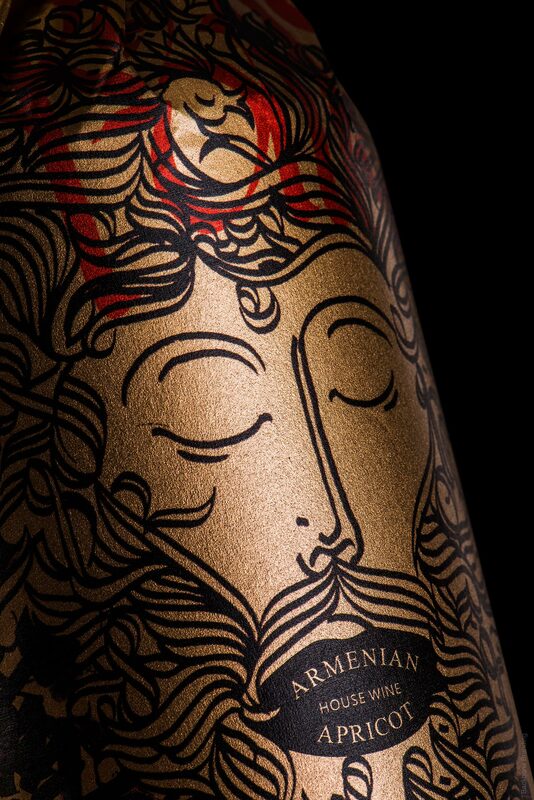 The brand has a strong storytelling concept, which represents the rich Armenian cultural heritage and the tradition of socializing around the table, with a well-known hospitality approach of entertaining and honoring the guests. 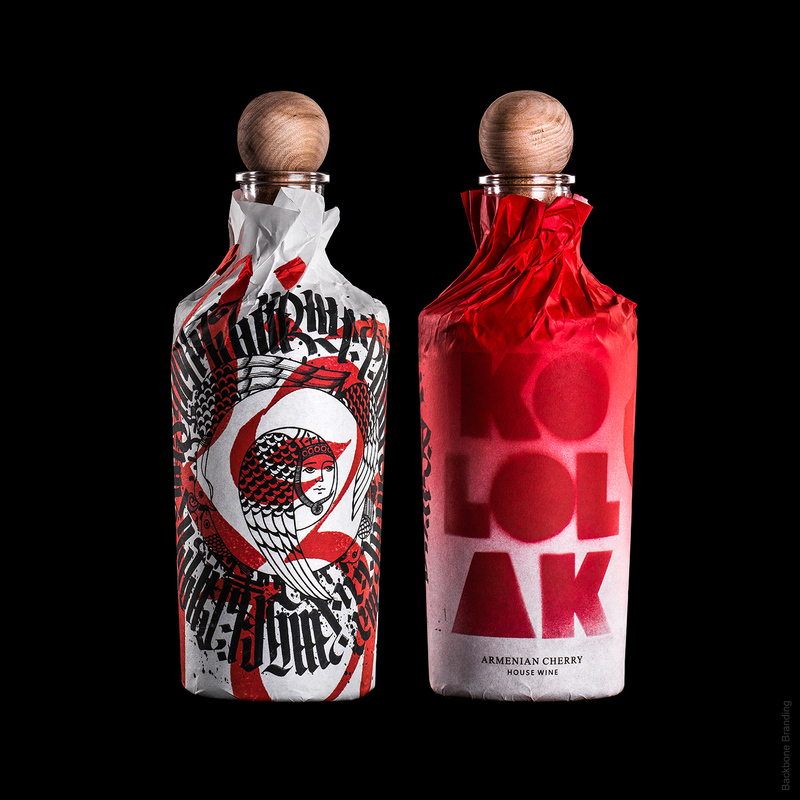 As a part of the branding concept, the team had to work on Kololak’s house-wines collection of different types of fruit wines. 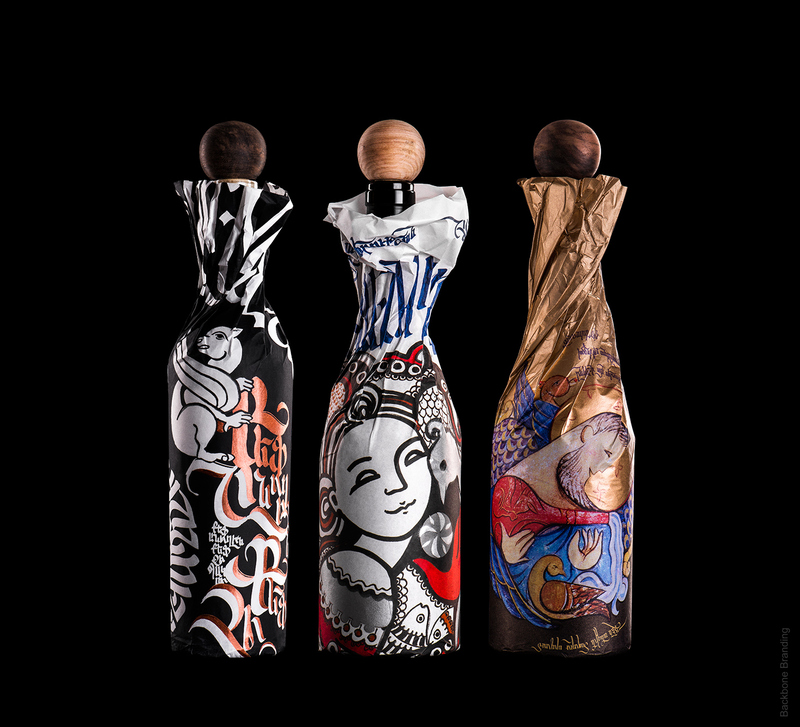 The challenge was to give a special touch to these wines created by unknown artisans and use packaging to represent them with a special identity that plays well with the restaurant concept. 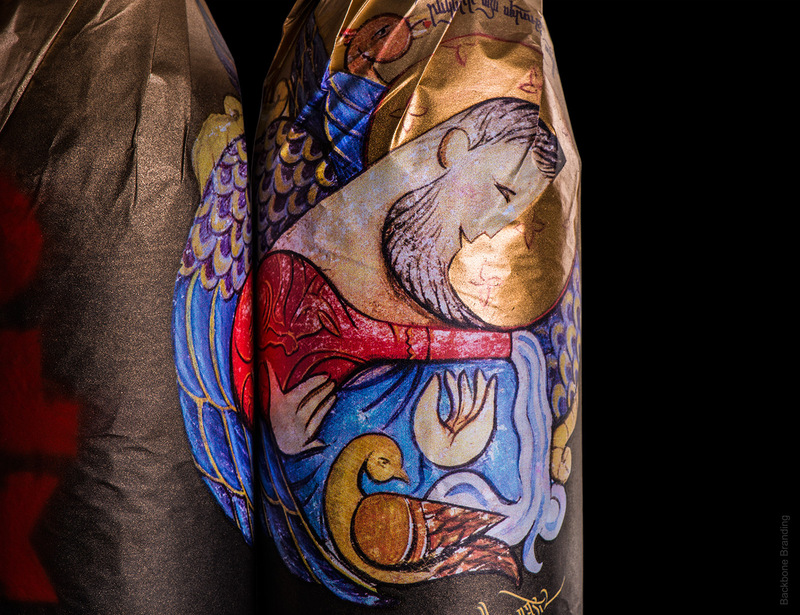 The Armenian miniature, manuscripts and calligraphy were the main sources of inspiration for the design. 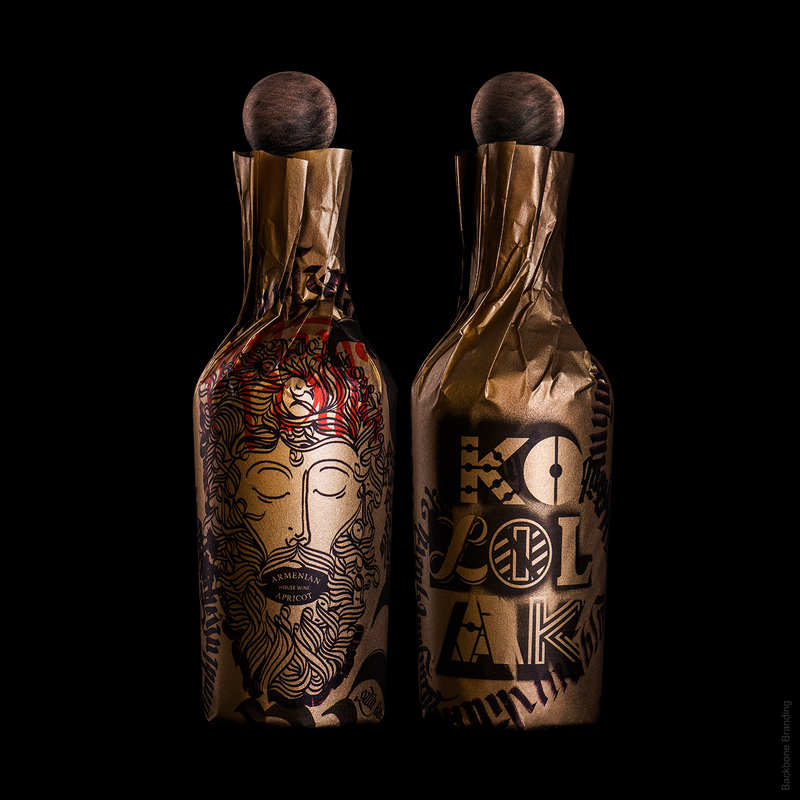 The team aimed to represent the ethnic and folk art with a contemporary approach, thus implemented unique techniques and fusion methods to realize the ideas. 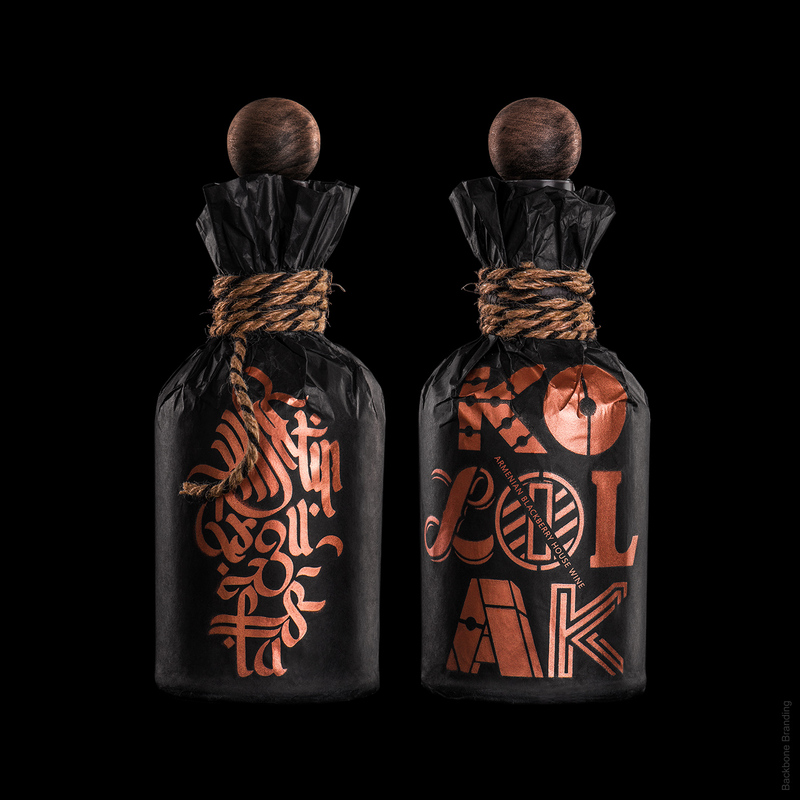 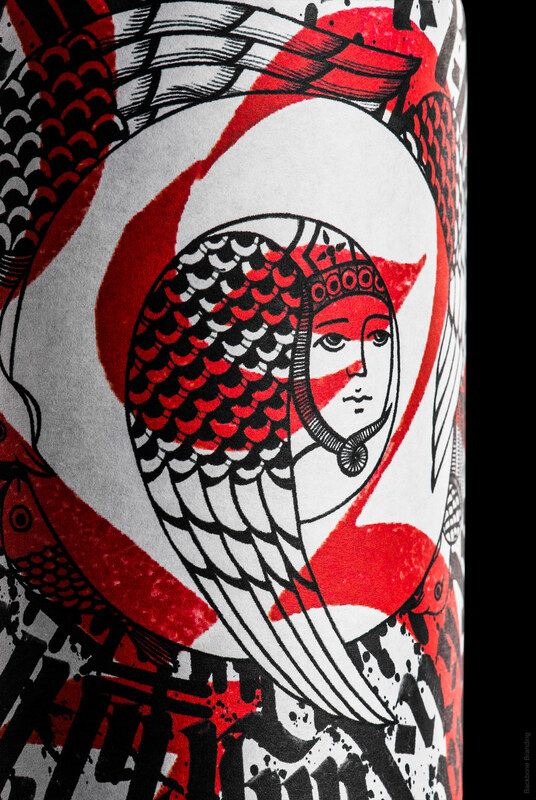 The hand-drawn illustrations and calligraphies, depicting famous toasting quotes, the culture of feasting and wine serving, are wrapped gently around the bottles as a packaging. 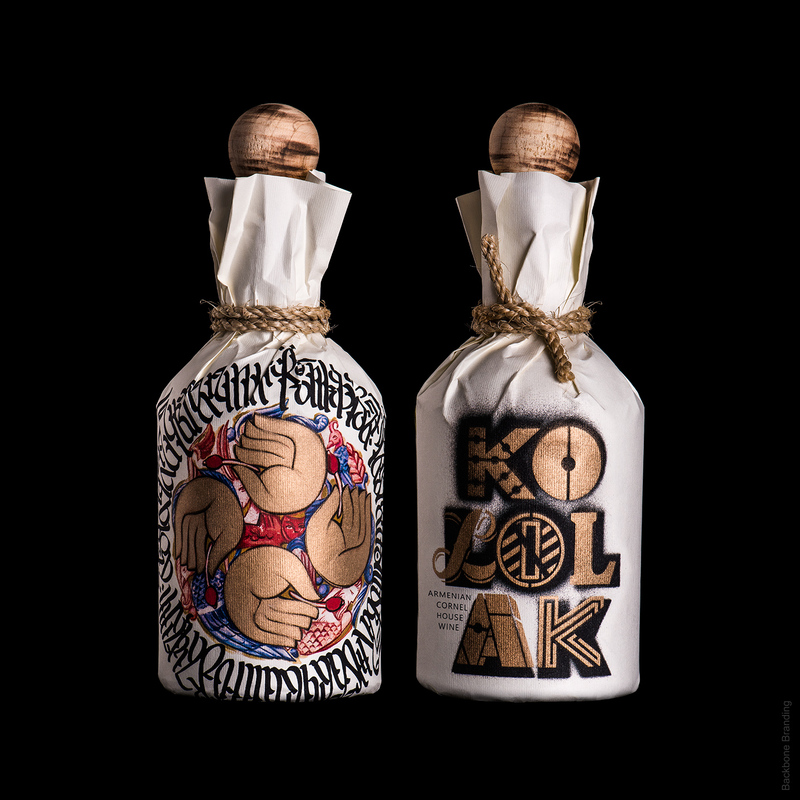 All the bottles have round shape cork, aiming to unify the packaging and symbolizing the “Kololak”, while also this shape is the most comfortable form of reusable corks.